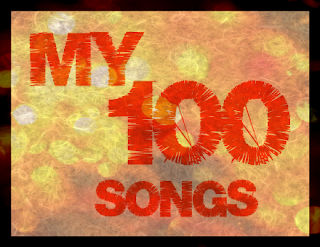 Today, I'm introducing a new blog theme segment where I will feature 100 of my all-time favorite songs, over time. I plan to focus on one or two songs per blog. I've also created My 100 Songs YouTube playlist and you'll see the rated order slowly emerge from 1-100. So play along with me Monday readers and start your own list too! The idea and motivation for starting this list is my response to Rolling Stone magazine's Lists. Rolling Stone has been doing all kinds of lists for years which has been highly successful in marketing their magazine. However, the more lists they make, it seems the less relevant they are becoming. I'm a list kind of person myself, but this recent list of 100 Greatest Songwriters of All Time, got me thinking. Any list like this is subjective, but when you're shooting for the middle to currently satisfy the most people, you are actually satisfying no one. Their title is the 100 Greatest Songwriters of All Time, really, of all time? You know they meant the last 60 or so years of rock 'n roll, but they should have got the title right, right? Not to mention that R. Kelly is #80 and Björk is #81 on this all time list, need I say more. So, I think I can do as good with my boomer rock 'n roll years of experience and picking my own favorite songs sounds like a fun writing exercise. The first song to add to my100 is, The Water is Wide by Karla Bonoff from her 1979 album, Restless Nights and produced by her longtime collaborator, Kenny Edwards (1946-2010). The Water is Wide is a traditional Scottish folk song that has been performed by countless artists over the years, but I have always favored Karla's version the best. 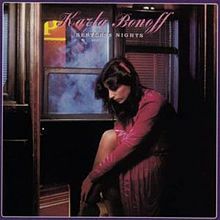 Karla's and Kenny's arrangement of the song features: Karla and James Taylor on acoustic guitars, James in one of his best backup vocal recordings ever (with J.D. Souther too) and Garth Hudson from the Band, playing a longing accordion that gives the song it's seaworthy roots. This song is simply the love song of all love songs. Be prepared to shed a tear for that one person in your heart who means more than anything to you. Doug thanks for introducing me to this song and another good Monday Monday, but I think it is possible that Sugar Sugar by The Archies would be in your Top 100 if James Taylor was playing back up some how.